Justice Patrice Abrioux of the Supreme Court of British Columbia has been appointed a justice of the British Columbia Court of Appeal. Amy D. Francis, a principal at Legacy Tax + Trust Lawyers LLP, has been appointed a judge of the Supreme Court of British Columbia. She replaces Justice G. Bruce Butler (Vancouver), who was appointed to the British Columbia Court of Appeal on Aug. 29, 2018. Karen F. Douglas, a partner at Harper Grey LLP, is appointed a judge of the Supreme Court of British Columbia. She replaces Justice Neill Brown (Chilliwack), who elected to become a supernumerary judge effective Aug. 1, 2018. Due to internal court transfers, the vacancy is located in Vancouver. 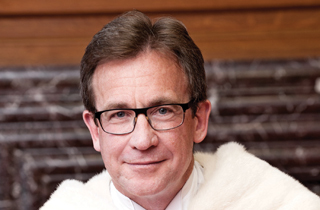 Justice Abrioux was born in Aberdeen, Scotland, and immigrated to Canada in 1967. His family resided first in Regina, and then Victoria, B.C. He obtained his B.A. (Honours) from the University of Victoria in 1976 and his law degree from McGill University in 1980. He was called to the B.C. bar in 1981. According to Justice Canada’s press release, he practised primarily in the field of civil litigation in Vancouver until he was appointed to the Supreme Court of British Columbia in 2011. 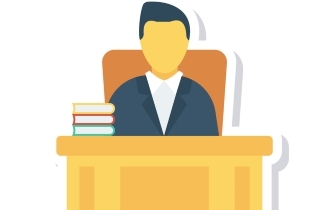 As a lawyer he was, over many years, a frequent presenter at Continuing Legal Education courses. He has been a member of the Supreme Court’s Education Committee since 2012 and was its chair until December 2017. He is currently a member of the court’s Executive Committee. He has been actively involved in the National Judicial Institute (NJI) and Canadian Institute for the Administration of Justice (CIAJ) and has acted as a facilitator at the CIAJ/NJI Federal New Judges Program on several occasions. Justice Abrioux is fluently bilingual and has presided in proceedings in French as a Supreme Court judge. In 2012, he received special recognition from La Féderation des Francophones de la Colombie-Britannique and in 2014 was presented with France’s Ordre National du Mérite for his contributions to francophone communities in British Columbia. In December 2018, he was appointed a deputy judge for the Supreme Court of Yukon. Justice Francis was born and raised in Vancouver. She received a bachelor of arts (Honours) in English literature from the University of British Columbia (UBC) in 1994 and a bachelor of laws from the University of Toronto in 1999. She was called to the bars of British Columbia and Ontario in 2001. As a junior lawyer, she practised in the litigation departments of national law firms in both Toronto and Vancouver and worked as a tax litigator for the federal Department of Justice. Since 2006, Justice Francis has practised at Legacy Tax + Trust Lawyers, where she has built a litigation career focused on resolving trust and estate disputes. For the last three years, she has taught succession law as an adjunct professor at Allard School of Law at UBC. She is a past chair of the Wills and Trusts Section of the British Columbia Branch of the Canadian Bar Association, is a TEP designated member of the Society of Trust and Estate Practitioners and has written and spoken widely on matters relating to trusts and estates. Justice Francis and her husband, Matthew, have two teenage daughters. As a family, they enjoy skiing at Whistler and travelling the globe. Justice Douglas was born in Vancouver. She has lived in British Columbia, Alberta, Ontario and Quebec and travelled extensively within Canada. She received an LL.B from the University of Western Ontario in 1987, after spending part of her third year studying civil law in French at Université Laval in Quebec City. Justice Douglas was called to the Ontario bar in 1989 and to the British Columbia bar in 1997. She was a litigation associate in McCarthy Tetrault’s Toronto office before relocating to British Columbia in 1997. She is a litigation partner with Harper Grey in Vancouver, where she has practised since 1997. Justice Douglas’ civil litigation and administrative practice was focused primarily in the areas of health and privacy law. She has been a frequent speaker in many different forums to a wide variety of audiences including lawyers, students, physicians, residents and allied health care professionals. Justice Douglas has appeared at all levels of court in British Columbia and successfully responded to leave applications in the Supreme Court of Canada.